Subtitles are a very useful way of communicating what is being said on a TV screen to deaf people. But there is far more to subtitles than this simplistic reasoning. Subtitles are also used for many other reasons than this – and deaf people often prefer not to have them or to use another method because of the drawback of subtitling. 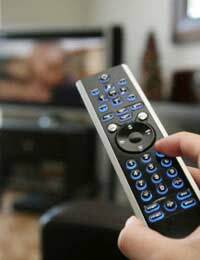 In the UK the vast majority of TV programmes are available with subtitles on through a teletext service which does allow deaf people to follow the action in almost all programmes. However, there are also TV shows which are shown at different times or on different digital channels which have sign language in the corner – we shall explore this shortly. In addition, foreign films and TV programmes are often subtitled to allow people who do not speak the language to follow the action, although in other countries apart from the UK, this practice usually gives way to dubbing. Subtitling is cheap and easily available. And with the 888 service in the UK, most people can get subtitles for most things. So for deaf people, there is an obvious advantage to using subtitles to watch TV. It means they can follow programmes at the same pace as everyone else at no extra cost. However, where the drawback comes in is in conveying emotion. Subtitles can only say so much. And because what the actors or presenters are saying is often abbreviated to fit on the page, a lot of the time, the nuances of what they are saying are lost – to say nothing of the way they are saying them. This is where sign language is infinitely better. With sign language, the person watching will not miss any words. In addition, because sign language can convey emotion they will not miss any action. When someone is angry or sad it may be easy to tell their emotion from watching them but other more complex emotions are less easy to distinguish. But sign language allows you to do this. The drawback to sign language is that it is not available for all programmes. Digital TV is changing this, with programmes on with sign language on some of the companion channels to a main channel. In addition, hard disc drive recorders make it easier to record the programmes that are signed and watch them at a more convenient time as they tend to be on in the middle of the night. The biggest disadvantage to this is that you cannot watch them at the same pace as hearing friends might be and so they may reveal plotlines to you before you have had a chance to watch the episode. The main other reason for using subtitles is for TV shows or films which are being shown in a country which does not speak the language they are made in. By subtitling, film and TV programme makers can extend their audience as far as they like, for a relatively cheap price. But again, similar arguments prevail with regards to nuances being lost – especially as the subtitles tend to be an exact translation rather than taking idioms into account, and emotions being lost. Of course, for non-deaf people they can still hear the emotion in an actor’s voice even if it is in a different language but it is not easy to follow so many things. Other countries prefer to dub programmes and films- where an actor speaking the language of the country where it is to be shown is recorded over the original language. But this is costly and time consuming and only worth the while of the crew if it is to be shown to a large number of people. Purists also argue that it sounds unnatural. Plus, if there is no original language, you will not have the chance to pick up a few words of the language the film is in. As we can see, the arguments for using subtitles are very strong and they certainly bring TV and film to people who would not derive so much pleasure form it otherwise. But at the same time, it is important to realise the limitations of the format. Certainly for deaf people in the long run, more programmes which are signed is a much better idea and was digital TV allows more and more to be done – including occasionally actually choosing whether you watch a signer or not, it is sure to become more prevalent.